Digital Viscometer | Producto | ATAGO CO.,LTD. VISCO is very easy to set-up. The spindle can be attached with just"one touch"
— simply insert the spindle in the instrument. Measurement preparation can easily be done with just "one hand"
Place the beaker underneath the pre-set area and place the instrument on the stand. No troublesome height adjustment necessary. Operation requires only one dial button. All operations can be performed with the simple act of "sliding"or"pushing"the dial button. No more accidental operations due to pushing the wrong button. Operation requires only one dial button. 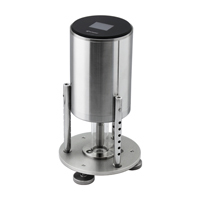 All operations can be performed with the simple act of "sliding"or"pushing"
Standard measurement instruments for viscosity require a large amount of sample (500mL). VISCO is capable of taking measurements with just 15mL of sample. This is roughly 1/33 of the standard sample amount. Measurement can be done with only a small amount of sample, resulting in less waste of valuable sample and a significant reduction in cost. A fully digital display allows for anyone to quickly and easily read results. The simple display is easily and readily understood. Not only does VISCO run on AC power, but it can also operate on battery power. This allows for measurements to be taken anywhere, even in places lacking a power source. 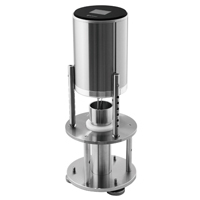 The instrument can also be placed directly on the beaker, making it possible for quick and simple measurements to be taken. No need to establish a specific location for measurement — with VISCO, you can take measurements anytime, anywhere. Never take any glassware on site, ever again. A disposable paper cup requires no washing after measurement. Measurement can also be taken using paper cups other than those that come with the instrument. A disposable container requires no washing after each measurements. This makes it possible to safely measure even on site where no glassware is allowed. Battery operated—measurements can be taken anywhere. Fully digital display allows for anyone to easily read results. 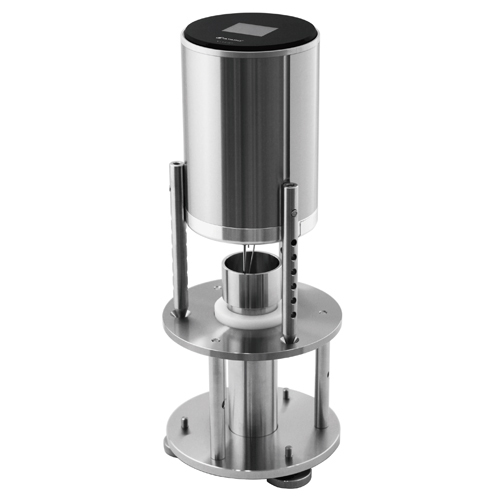 Ultra Low Adapter will allow to measure low viscosity samples (1～2,000mPa・s). By changing the material used for body, legs and stand to alminium, unit weight is now 895g as described in the model name. Appearance and all features remain unchanged, while achieving 25% weight reduction compared to existing VISCO™. Using disposable containers eliminates the hassle of cleaning after measurement.Package A, which includes a specialized adapter for use with disposable containers such as paper cups, is available at ATAGO. 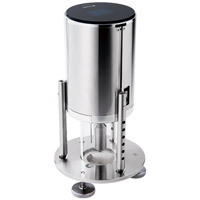 Measurement of low viscosity （1～2,000mPa・s）is possible. 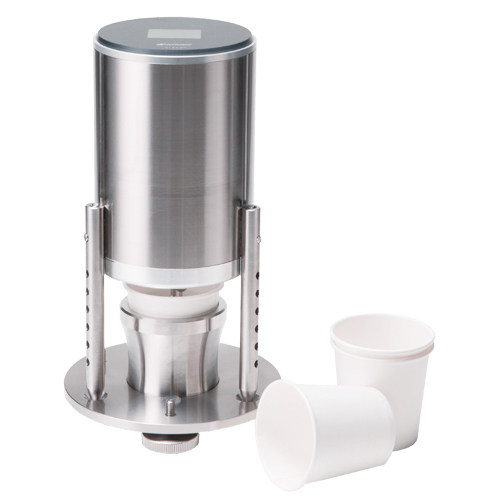 A package that comes with Ultra Low Adapter (ULA) for measuring low viscosity sample and VISCO (main unit)	is available. 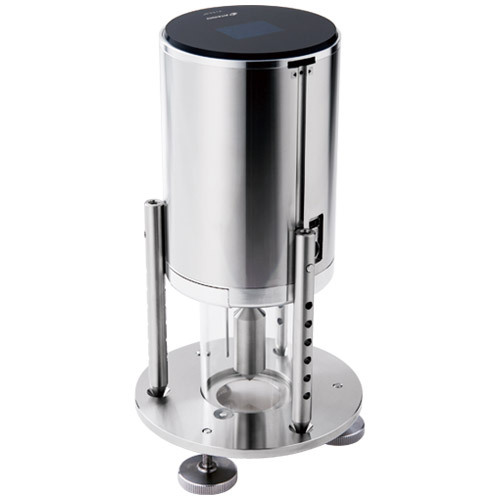 A package that comes with Ultra Low Adapter (ULA) for measuring low viscosity sample and VISCO-895 (main unit)	is available.